This is for the MF 3.2, which I bought 9 months ago. Lacking the technical vocabulary of the audiophiles, I'll just say this: This amp is amazing! It takes anything you throw at it and does it with grace. I listen to many kinds of music _ jazz, rock, blues, classical, and some hip-hop. The soundstage is huge (wide and tall), the top end is detailed, but sweet, the bottom end is powerfull and tight, and the mids ... are just perfect. And I haven't even finished configuring my setup yet. The MF has revived (for now) the Klipsch KG 2.5 that I got seven years ago. They sound so much better that I feel I can take my time to find the right speakers. Anyway, I digress. Just give this baby a try. You'll love it. sound detail, transparent, musical. a lot. What a great amp within $2000 budget. After run in for about 100 hrs, and sound became more detailed, transparent. If you spend most of your time in vocal jazz or classical music, then it is your choice. If you looking for rap or heavy bass, punchy bass then you better go for the others. 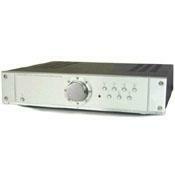 This is a great amp for entry level audiophil anyway.